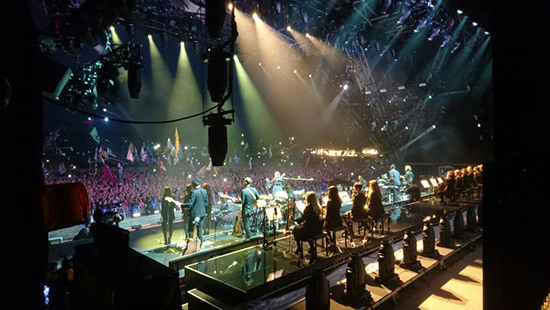 Rosie Danvers and Wired Strings join ADELE for an incredible performance at Glastonbury festival on Saturday night. The eight piece string section and 4 piece brass section lead by Rosie Danvers has toured the UK and Europe with ADELE this year. 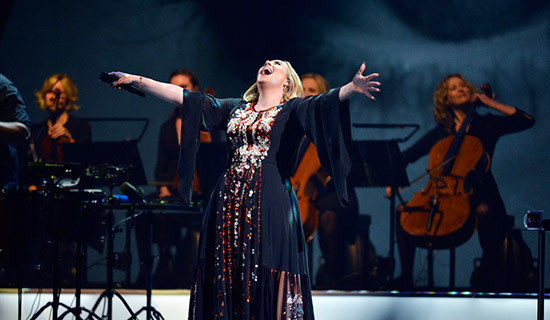 Wired Strings have collaborated with Adele since 2007 when they recorded ‘Make You Feel My Love’ for her first album ’19’. They went on to tour with her throughout Europe and America in 2008. In 2010 Wired Strings recorded ‘Set Fire To The Rain’ with Adele and producer Fraser T Smith, which went on to be Number 1. in the American charts. In 2015 they joined Adele for ‘Adele at the BBC’ and ‘Adele, Live in New York City’ and several other promotional performances. 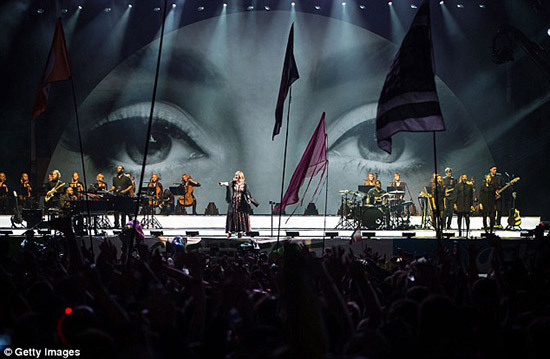 Photos: Wired Strings and Brass on stage with Adele at Glastonbury Festival 2016.